For Penn State basketball, Wednesday night was all about the kids. No, it wasn’t about the Nittany Lions’ highly-regarded recruiting class. 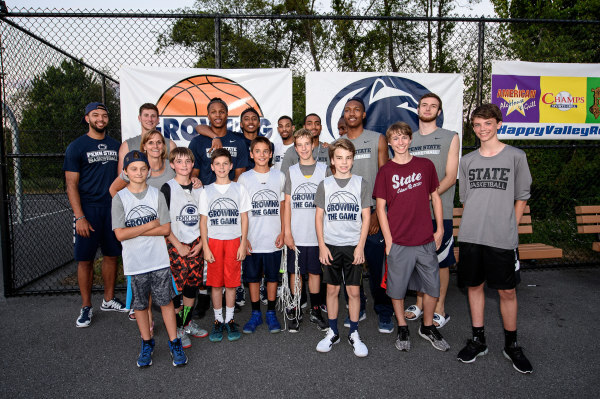 Rather, it was about the children who participated in Growing the Game, the youth outdoor basketball league that formed because of a partnership between Penn State basketball and Centre Region Parks and Recreation. The entire team made its way to Circleville Park on Wednesday for the boys championship games and wanted to get a message across to those in attendance. Wednesday night resonated on a personal level with head coach Pat Chambers. He played basketball in environments like this when he was younger – outdoor courts on hot summer days – so this made him feel nostalgic. Of course, there was some talk of the 2016-17 Nittany Lions. There is a ton of hype around the program, partly because of the returning talent it possesses (Garner was 14th in the Big Ten in scoring last year and ended the season on fire, while sophomore guard Josh Reaves established himself as one of the league’s peskiest defenders), and partly because of the guys who will suit up in the blue and white for the first time this fall. There’s also a pair of players who were with the program last year but didn’t get the chance to play. Mike Watkins, a center out of Philadelphia, took an academic redshirt, while redshirt junior point guard Terrence Samuel sat out after transferring from UConn. Neither guy has played a competitive basketball game since 2014, which is something that Chambers notices in the way they’ve played this summer. But on Wednesday, the future of Penn State hoops took a backseat to being a part of the community. 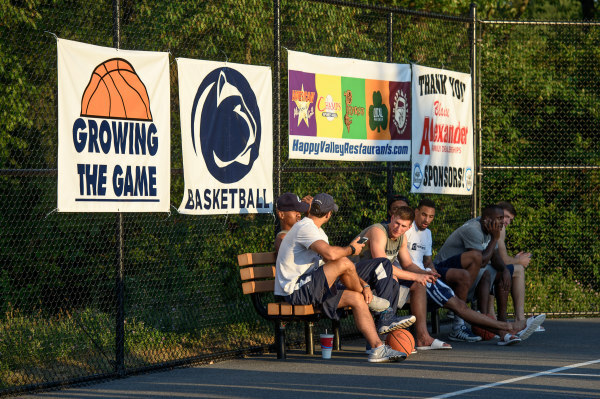 Chambers mentioned that programs like this show that there is “a hunger for good basketball” in Happy Valley, while Garner was just excited to be around people playing the game. Entry filed under: Athletics, State College. Tags: Pat Chambers, Penn State Basketball, Shep Garner.